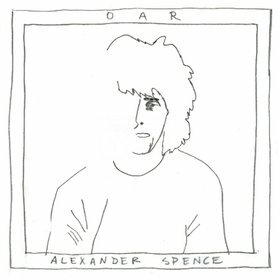 "Grey / Afro" is a near 10-minute song on Skip Spence's album, Oar. Beck and his third Record Club covered the album in its entirety. Spence's song is a slow rolling purr of a song built over bass waves and jazz drums. It seems like a very difficult song to cover. So Record Club take it pretty straightforward, jamming as a bass, guitar, drums trio (with some sound effects/keyboards for flavor). With Gadson and LeBarton on drums and bass, it gets a really driving rhythm, but that's hardly unique for all the Record Club's Oar tracks. Also, singing this, Beck moved a lot of lines around (and eliminated quite a few, but almost surely because Spence's lyrics are almost incomprehensible).